A green move can also be a cheap move. Follow these tips for a more environmentally friendly move. Particularly if your move is long distance, reducing the amount of stuff you need to haul can help lower the required space in the moving van and use less fuel. And, you’ll use fewer boxes and packing supplies. Go through your belongings before you start packing and decide what items you no longer need. Donating to charities and thrift stores is a great option. Or make some extra cash by selling collectibles or other valuable items on eBay or Craigslist. If you have the time, a garage sale is another great way to clear out unwanted stuff. And, when you get to the unpacking and decorating phase of your move, you’ll thank yourself for getting rid of all those unneeded items that now you no longer have to deal with. Rather than buying new cardboard boxes that will just get thrown away at the end of your move, opt to rent recyclable plastic crates instead. These plastic crates are great for reducing waste as they can be used as many as 400 times – much more than the average cardboard box – and then recycled when their service life is over. Many companies will deliver their reusable plastic bins and boxes directly to you before your move and pick them up a few days after your move, making this option convenient as well as eco-friendly. 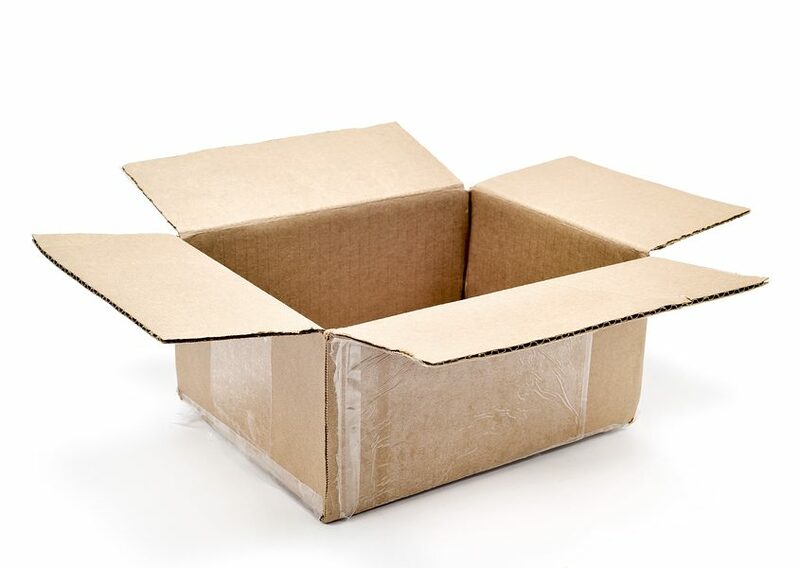 If you do opt for cardboard, remember, buying new cardboard boxes can be expensive and it creates a lot of extra waste. If renting recyclable plastic crates doesn’t work for you, reusing cardboard boxes is the next best alternative. Try asking friends and family – you’d be surprised how many of us hang onto those boxes. Ask at local retail businesses, or check online on places like Freecycle.com to find free boxes that can be used for moving. Don’t forget to ask your mover as well. They may have a used, recycled or even a plastic box rental program where you can get what you need. Plastic bubble wrap and styrofoam packing peanuts are both rough on the environment and an added expense in your move budget. You can get the same level of protection for fragile and loose items by using your clothes and bedding to wrap anything breakable as you box them up. Socks are especially great for smaller items. Large pieces of furniture can be covered with blankets and comforters, protecting them from bumps, nicks and scratches. If you do need extra material to protect your fragile items, use towels and old newspapers rather than buying non-recyclable and costly packing materials. All moved out? If you’re a renter or have sold your home, you’ll need to clean up the old place before leaving it for the last time. Here’s another opportunity to think green. 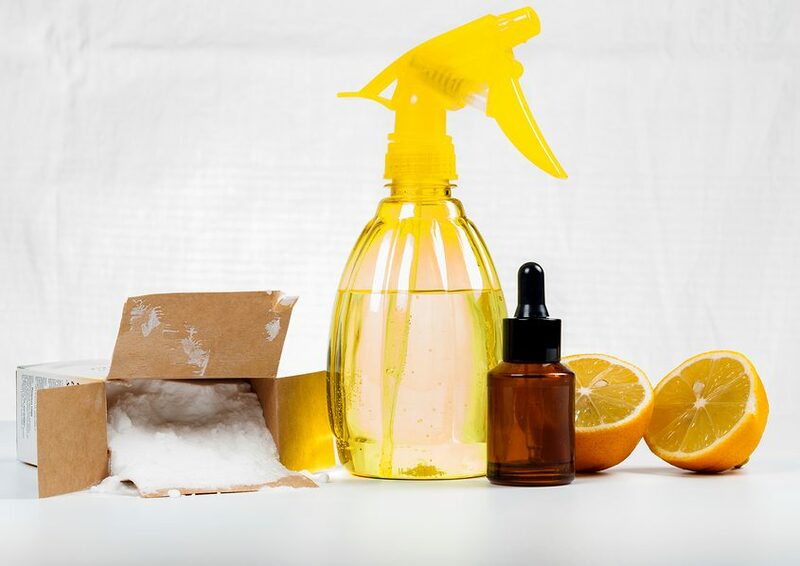 Many cleaning products contain harsh chemicals that are rough on the environment, not to mention on your skin, and harsh fumes can sting your nose and eyes. Very effective green cleaning products are now widely available and are easier on you and the environment. These products include everything from glass cleaner to tub and tile cleaners. Or, you can use simple, inexpensive natural cleaners like baking soda, lemon and vinegar. These natural cleaners will do the job as well as the harsher ones and you won’t miss the fumes and harsh chemicals found in traditional commercial brands. All your efforts at making your move greener can evaporate if you pick the wrong type of truck for moving day. The amount of fuel that many moving trucks use can be quite large. To help minimize the quantity of fossil fuels burned, pick the smallest moving truck that will fit your belongings. As a general rule, the smaller the truck is, the less fuel it will need to use. As an added bonus, a smaller truck will help protect your boxes and furniture better, not to mention the huge amount you’ll save on filling up an unnecessarily large gas-guzzler. If you are using a local moving company, explain to them your interest in a green move by keeping the move as small and simple as possible. Most moving companies are also interested in using their trucks more efficiently, so work out with them the best way to pack the smallest truck available, complete the move in one trip, and makes sure the driver is using the most efficient route to get to your new place. If you are moving long distance, moving companies will regularly pack your items along with other families going in the same direction to save on fuel, so find out if that’s the case for your move. Ask them to explain how they minimize the environmental impact of their vehicles. If you can minimize mover time and mileage, your move budget will thank you as well. Perhaps the best way that you can make your moving experience greener is to use it as an opportunity to form new eco-friendly habits. Be sure to share or recycle any moving boxes so they aren’t wasted. As you upgrade and decorate, try to recycle and reuse so that your projects don’t generate a lot of trash. If you have a new yard to maintain, plant water smart and insect-friendly gardens. After the decluttering you did at the beginning of your moving process, try holding on to your new, simpler style by consciously buying less stuff. When you do need things, shopping at antique or consignment stores is a great way to continue the process of reuse and recycle. A new home is a great time to build new habits that will become easier with time so you can feel good about the progress you made just by planning an eco-friendly move.